India is moving away from coal, but what is it doing about communities displaced in mining areas? The rapid strides towards clean energy have not stopped the evictions in the coal belts. 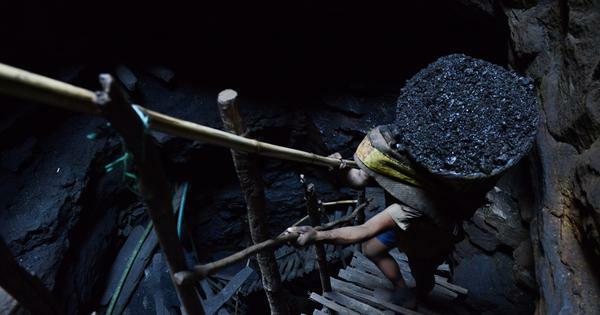 It is a good time to take stock of life in India’s coal mining heartlands. Earlier this month, India was quick to reiterate its commitment to the Paris climate accord after the exit of the United States from the multi-nation agreement to act towards curbing global warming. The government is also increasingly moving away from coal-based electricity generation towards renewable energy. As solar prices dipped to a record low of Rs 2.44 per kilo watt hour in May, state governments from Uttar Pradesh to Andhra Pradesh have been scrapping additional thermal capacity. India’s Draft National Electricity Plan, released in December, sees thermal power capacity dropping from 69% of India’s electricity generation-mix to 43% by 2027. Another significant milestone seen by the country last month was the conviction of former Coal Secretary HC Gupta, along with two other top bureaucrats, on charges of criminal conspiracy and cheating under the Indian Penal Code and for corruption under the Prevention of Corruption Act for irregularities in the allocation of Thesgora-B Rudrapuri coal block in Madhya Pradesh. The case was part of the coal scam under the previous United Progressive Alliance regime that came to be known as Coalgate. In 2014, the Supreme Court cancelled 214 coal mining leases allocated between 1993 and 2013, citing arbitrariness and “lack of application of mind”. Over the last three years, there have been three convictions in the coal scam cases. Despite this, it is not a far-fetched to say that the coal scam judgment did not bring justice to the various mining-affected communities in India’s coal-rich areas. Even the shift to renewable energy has not eased up the cycle of displacement and the spectre of pollution in these belts. A miner places dynamite sticks in what was the village of Barkuta in Korba, Chhattisgarh. Barkuta stood on the edge of Kusmunda, one of India's largest coal mines. September 2015. Photo credit: Aruna Chandrasekhar. After the Supreme Court’s judgment in the coal scam, there was hope that coal mining would slow down. But this did not happen, partly because the judgement, cancelling most existing mining leases, served as a rationale for Coal India Limited to expand rapidly, citing a coal shortage. Coal India’s production grew from 462 million tonnes to 536 million tonnes between 2014 and 2016, a 16% increase. In 2015-’16, Coal India and Singareni Coalfields Limited together contributed to 93% of coal mining in India. Adivasi and Dalit communities who live in the shadow of public sector mines were hit the hardest by this increased mining activity. As Coal India chased an expansion target of 1.5 billion tonnes per annum, entire villages disappeared in less than three years. 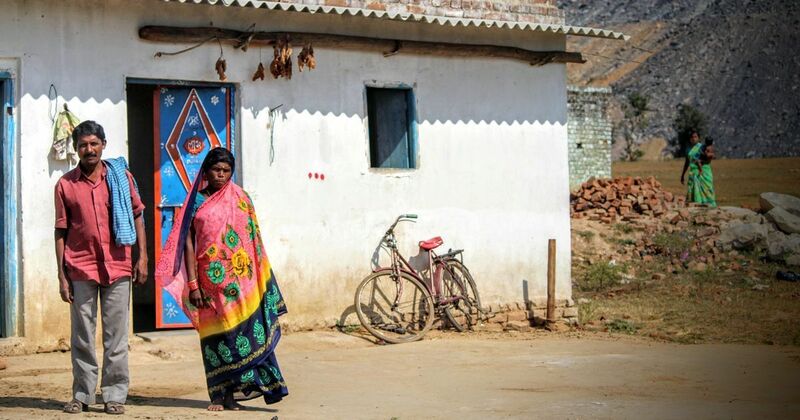 The village that lent its name to Coal India’s Tetariakhar mine in Jharkhand, no longer exists, as the last Dalit families living on its edge were forced to move in 2015, allegedly because they were coerced by company officials and local militias acting on their behest. They now live in the shadow of the mine’s overburden dumps. The village of Barkuta in Chhattisgarh has been subsumed by Kusmunda, one of Asia’s biggest coal mines that could fit all of Central Delhi into it at its peak. Coal India’s expansion was achieved using a combination of eminent domain laws to acquire land en masse, citing national interest, while using exemptions granted to justify a coal shortage. For local communities, displacement means disenfranchisement. Coal India’s promises to provide mandatory employment to those displaced have failed to keep pace with the rapid expansion and the increasing mechanisation and privatisation of labour. In some areas, local people have started registering their protest through strikes. In Talcher, Odisha, Coal India’s Lingaraj and Bhubaneswari mines were shut for two days in early June as locals argued that even contract jobs to drive trucks, serve as security guards or clean vehicles were not coming their way. In villages sitting right under Coal India’s Kaniha mine dump in Odisha, Dalit families said the only work they could take up was selling scavenged coal in the open market for Rs 200 a day. In Korba in neighbouring Chhattisgarh, on June 2, displaced communities successfully registered the name of their new company, Korba Coal Mines Bhu Vistapit Limited (Korba Coal Mines Land Oustees Limited). “Give communities the contracts for reforesting their lands, for removing and reclaiming the overburden, a job they will be much better at than the present contractors,” said Laxmi Chauhan, a local activist from the organisation Sarthak which works with the mine-affected. Description Gond Adivasi women climb up coal trucks to tie tarpaulin over them. This is the only work that is available to them, as women are yet to receive jobs in lieu of their land for Coal India's Chhal coal mine. September 2015. Photo credit: Aruna Chandrasekhar. The coal scam judgement brought brief respite in some places where mining was yet to begin. But 31 blocks were put swiftly auctioned again, through the enactment of the Coal Mines (Special Provisions) Act of 2015. Along with mining leases, land, environmental and forest clearances were transferred to the companies that won the auctions. This has led to a situation where the previous mine owner enjoys blanket immunity, while new mine owners have been freed from liablities. The auctions of coal blacks themselves were far from transparent and free from cartelisation risks. When the bids for rich coal blocks fell even below the notified price, the government was forced to sit up and take notice, cancelling bids citing irregularities. While the Jindal Steel and Power Limited, Vedanta Resources and the Ministry of Coal were wrapped up in litigation over three blocks in Raigarh, Chhattisgarh, Coal India was asked to step in to act as the custodian of these blocks. However, there was no clarity on whether a custodian has the right to take up fresh mining operations apart from clearing existing stock. This is something that has exasperated Adivasi communities living near these mines, who are still unsure about whom to hold accountable for existing issues around pollution, unfinished rehabilitation and unemployment. As of March, 31 coal blocks had been auctioned and 51 coal blocks were allotted to State and Central public sector companies. Mining operations have thus far begun in less than half a dozen of the auctioned blocks. But the story in the coal-bearing areas remains mostly unchanged: local communities struggling for their rights continue to receive a pushback from the miners. Public sector companies such as the National Thermal Power Corporation have been increasingly outsourcing mining operations and rehabilitation to private entities, a model known as Mine-Develop-Operate, while also using public-interest land acquisition laws. This has spiraled into conflicts, with private contractors failing to ensure that communities are consulted or rehabilitated. In October 2016, five people were killed in Hazaribagh, Jharkhand as police fired upon protestors who were demanding that NTPC and its contractor Thriveni Sainik cease mining on their forest land. In June, Adani Mining, a contractor for the Rajasthan’s state electricity board-owned mine, filed a police complaint against Adivasi communities agitating to access their forest rights, alleging that this was disrupting coal mining operations. Meanwhile, activists and organisations providing legal support to local communities continue face an increasingly difficult situation. For instance, Greenpeace saw its funds choked after it took on Essar over the Mahan Coal Block. The family of Pavan Kumar (16) shows his school report card. Pavan was shot dead as police opened fire against villagers protesting mining on their forest lands by NTPC and Thriveni Sainik in Barkagaon, Jharkhand. October 2016. Photo credit: Aruna Chandrasekhar. The Supreme Court judgement was a great opportunity for the government to start afresh, by estimating India’s demand for coal and carefully assessing the costs and benefits of opening up fresh areas for mining. Three years later, however, it is not clear if the government has made any such assessment – there is nothing in the public domain yet. India’s much-diluted Inviolate Forest Policy, which could have protected 40 per cent of the country’s existing forest cover from mining, is still under wraps even as auctions continue, with no specific deadline for it to be imposed. Coal Minister Piyush Goyal boasted in May this year that India has a coal surplus. Over 11 million tonnes of coal lie piled up in Coal India’s stockyards with no takers, so much so that the government is talking of exports to Bangladesh. According to the Central Electricity Authority, there is enough coal being mined at present to keep power plants running till 2022, without any need for further expansion. In fact, thermal power plants are in such proliferation that states are paying for surplus power they do not really need. Simultaneously, the drastic reduction in the cost of solar energy presents a clear business case for India to make the leap to renewables. Why, then, is the government opening up more forest land for commercial coal mining? 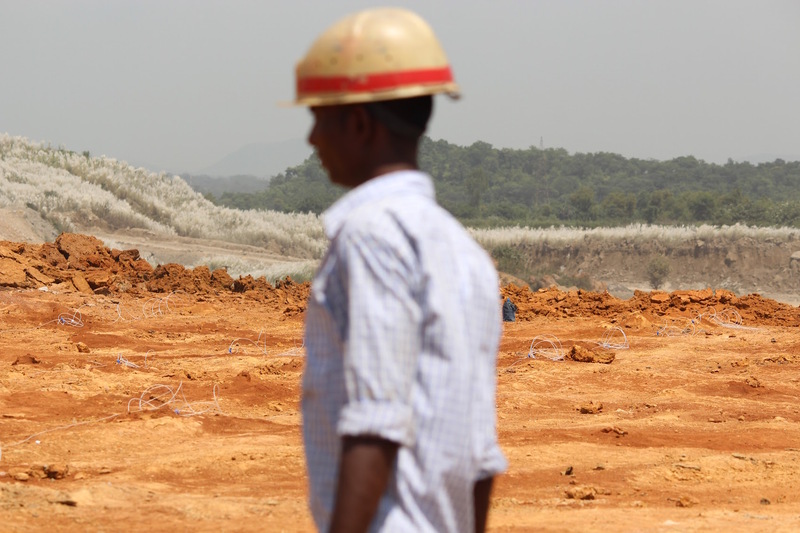 Before digging up fresh mines, India would do well to focus on the rights of mining-affected communities. India has asked for equity in global climate talks, arguing that the developed nations must bear a greater share of the cost of clean energy because they have contributed to more pollution through fossil fuels. The principle of equity holds true within countries and not just between countries. Prime Minister Narendra Modi must make sure that impoverished communities living in India’s coal-bearing areas, who have among the lowest carbon footprint in the world, are no longer treated unjustly and are included in this brave, but necessary transition. Aruna Chandrasekhar is a photojournalist and researcher. Follow her on Twitter here @aruna_sekhar.